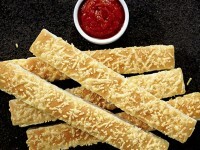 As part of our Friday feature reviews, we take a look at the new Pizza Hut offerings that are set to be released on November 19th nationwide. 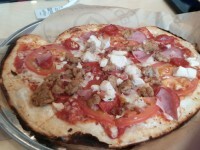 One of my favorite blogs, The Consumerist, received an invitation to try each and every new crust, sauce, and topping. 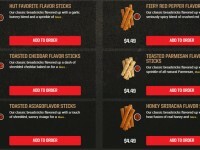 While Pizza Hut now has a total of 2 billion different combinations, they only served 21 different pizzas to members of the press. 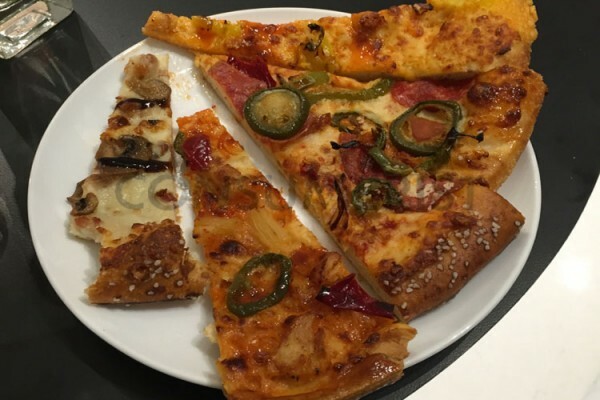 The underlying theme is that under all the jazz and pizazz, each one tasted like… Pizza Hut pizza. Sort of spongy, lukewarm cheese and an acceptable crust I wouldn’t kick out of bed. 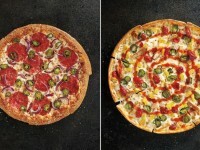 It appears that Pizza Hut is really going for an ingredient overload, and while some seemed to work, others clearly did not. You can read the full review from The Consumerist here. We are excited to try some of these combinations when they come out. 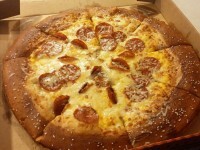 Pizza Hut seems to have made a pizza that anyone could enjoy, however the quality of the ingredients might be what makes or breaks the whole endeavor.